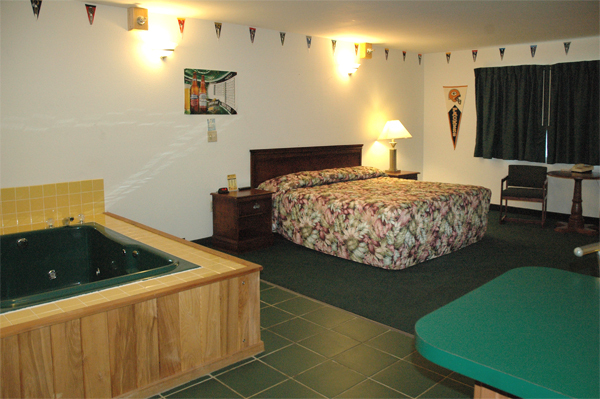 Our Green Bay Packer Suite offers guests a very large room, king bed, living area, and kitchen. This unit sleeps up to four comfortably and comes with a pull-out couch. This unit also comes with fridge, microwave, phone, air conditioning, tub / shower, free coffee, and cable TV. Please click onto the thumbnails to view enlargements.